Broccoli is a green leafy vegetables just like cabbage, spinach and Brussels sprouts whose stalks and large flower heads are edible. 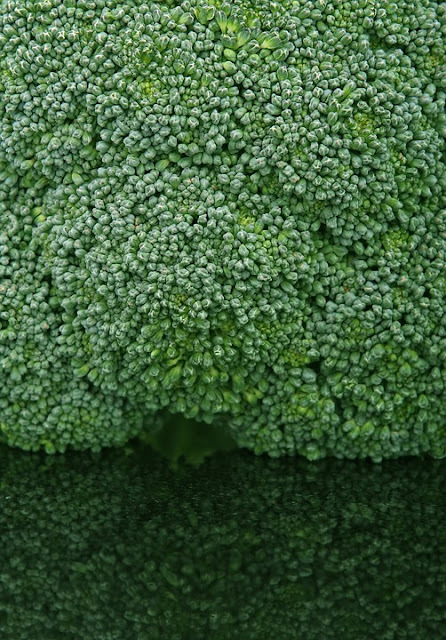 Broccoli grows 1 ½ to 2 ½ feet in height and looks like a green cauliflower. The flower heads of Broccoli are arranged in a tree like manner on branches which sprouting from a thick stalk. Broccoli is an exotic vegetable grown in the mediterranean region. The vegetable got it’s name from the Italian word Brocco and braccium which in latin means an arm, branch or shoot. In England Broccoli is also called Italian Brussel Sprouts. To gain all of it’s nutrients broccoli should be eaten raw, It can also be cooked. The flower and stalks of broccoli are edible while the leaves, being bitter in taste, are discarded. Some other varieties of broccoli you may find in the market today are broccoflower, which is a cross between broccoli and cauliflower and baby broccoli, which is a cross between broccoli and kale. Broccoli is known as hari phool gobi in Hindi, Marathi, Bengali and Gujrati. In Tamil Broccoli is called as Pachchai poongosu, In Kannada, Malayalam and Telugu is known as Broccoli only. We have always been told that eating Broccoli is healthy, but there are many people who still despise eating broccoli due to its bad taste. But what we need to understand is that we all must consume broccoli as it is truly a goldmine of nutrients. Being a rich source of Carbohydrates and fiber, it is also an indispensable vegetable in the Mediterranean diet. The best thing about this exotic and healthy veggie is that it is definitely worth trying and can be used in various types of cooking and cuisines. 1. 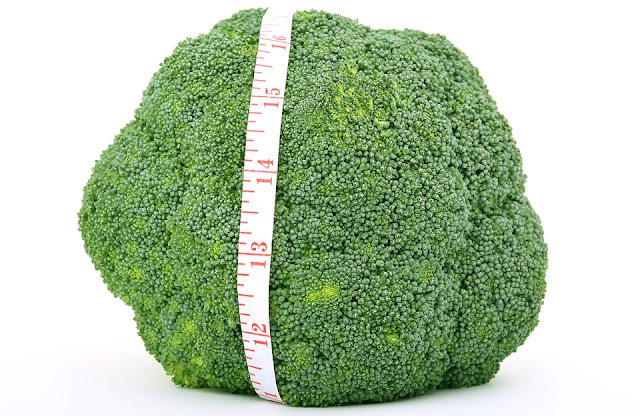 Slows down Cancer Growth- When it comes to lowering down the risk of developing various forms of Cancer, Broccoli always shows the great results. Certain compounds found in Broccoli are known to help remove cancer causing estrogens from the body. Rich in a chemical called indole-3-carbinol, it helps repair DNA in damaged cells and reduces the growth of cancerous tumors. 2. Loaded with Fiber, Helps in losing weight- Believe it or not, Broccoli is the perfect food to eat to lose weight. It contains both soluble and insoluble fiber and provide adequate amount of protein in the body, thus helps in losing weight. 3. Detoxifies and Improves the health of the liver- If you are looking for a method to heal your livers naturally, then Broccoli is all you need to include in your diet. Rich in antioxidants, Broccoli is highly effective in improving the liver health. Eating Broccoli helps to detoxify the liver as it contains glucoraphanin, gluconasturtiin and glucobrassicin which are special nutrients that help to get rid of the waste from the body. 4. Treat Diabetes- Half cup of Broccoli contains only 50 calories, which is why it is also the most preferred food among people suffering from diabetes. It is also loaded with both soluble and insoluble fiber which helps in keeping the blood sugar levels under control. 5. Improve Nervous System- As it contains high amount of potassium, broccoli maintains the healthy nervous system, promotes optimal brain function as well as muscle growth. 6. Maintains Blood Pressure- As it contains a large amount of nutrients which include magnesium, potassium, calcium, omega 3 fatty acids, fiber, which helps to keep the blood cholesterol level under control. This makes Broccoli, truly the most amazing food for balancing blood pressure level. 7. High in Nutrition and Improves Digestion- Broccoli is a rich source of nutrients and minerals like fiber, vitamin c, vitamin a, beta carotene, good carb, potassium, magnesium, manganese which are vital for our health. Nutrients like fiber and good carbs present in Broccoli help in improving digestion and makes it the best food for improving bowel movements and digestion. 8. Prevents Anemia- Broccoli is one of the best sources of Iron and Folic acid that prevents Anemia and is the best food to eat for all those people who have low hemoglobin levels. 9. Strengthen Bones- Being a rich source of Calcium, Broccoli is a perfect food that strengthens bones and help you stay fit. It is richer in calcium than other dairy products and is also highly effective in preventing osteoporosis. Consuming broccoli is a sure way to keep your bones healthy and strong. 10. 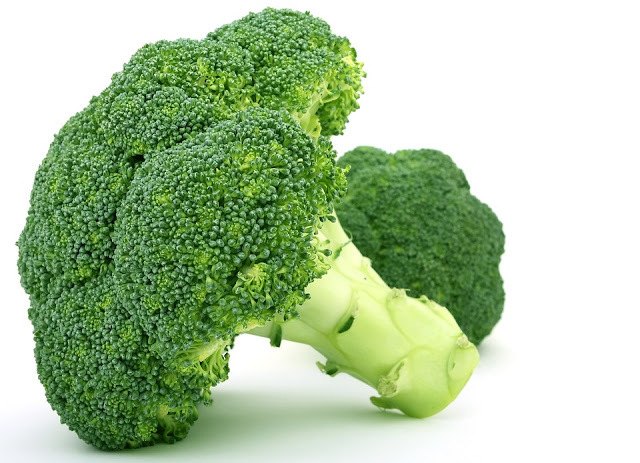 Boosts Immunity- One cup of Broccoli can boost your health as well as immune system with a large dose of beta-carotene. The presence of zinc and selenium in this exotic vegetable is also highly effective to strengthen the immune system. 11. Improves Eye Sight- Everyone wants to have a healthy vision and it can be easily achieved by including Broccoli to your diet. It also prevents cataract and helps the retina to provide proper vision. All this is achieved because broccoli is loaded with vitamin A which helps the retina to absorb light and provide proper vision. 12. Good for a Healthy Heart- Eating Broccoli on a regular basis is great for the heart. It contains many nutrients, fiber, vitamins and fatty acids that balances the blood pressure level in the body and also controls the bad cholesterol. It also prevents the risk of getting heart attacks. 1. Help you get strong Hair- Broccoli is truly the best Superfood for your hair and when consumed on a regular basis strengthens the hair from the roots. Broccoli seed oil which is extracted from the seeds of broccoli is also very beneficial for your hair. This natural oil is loaded vitamins like vitamin C and vitamin B6 which are known to make your hair strong and silky smooth, and treat hair frizz. 2. Fights Hair loss- Broccoli seed oil contains a large amount of Vitamin C which fights the free radicals to keep your hair healthy. While Vitamin B6 reduces the stress on your and prevent the hair from falling out and also makes them look healthier and stronger naturally. In addition to the vitamins we mentioned, broccoli also has a powerful compound which is known to inhibit dihydrotesterone or DHT which is related to hair loss and thinning. 3. Promotes Hair Growth- Broccoli is a rich source of Vitamin A, Vitamin C and Calcium that promotes hair growth. It is also highly effective in stimulating the production of sebum in the scalp, fights free radical and promotes hair growth. 4. Strengthen the Hair Follicles- Many a few people know this, but the Broccoli seed oil extracted from the seeds of Broccoli is highly beneficial for the skin. It is also very useful in strengthening hair follicles as well as in eliminating frizzy hair. 5. Helps your Hair shine- The best thing about this Broccoli seed oil is that it contains a unique fatty acid composition, that makes your hair look shiny and lustrous naturally. This omega-9 fatty acid is also known as erucic acid which makes your hair smooth and shiny in a natural way without any harmful chemicals. Using Broccoli seed oil is anytime better than using any commercial shampoos and conditioners. 6. Prevents Premature Hair Graying- Since Broccoli has all the essential nutrients like Vitamin C, Vitamin B12, Vitamin A, Iron, Zinc, germanium, sulfur, silica, it is the best food to prevent premature hair graying. 1. Maintains Skin Health- Broccoli is loaded with antioxidants like vitamins C and E. Vitamin C is responsible for stimulating collagen production which helps in keeping your skin healthy. Vitamin A protects your skin cell membranes and prevents ultraviolet radiation damage. 2. Prevent Sun Damage- Broccoli is far more effective than other artificial sunscreens available in the market. Broccoli paste when applied on your skin is directly absorbed by the skin cells by producing a matrix of protective enzymes which protects your skin from harmful UV Rays. 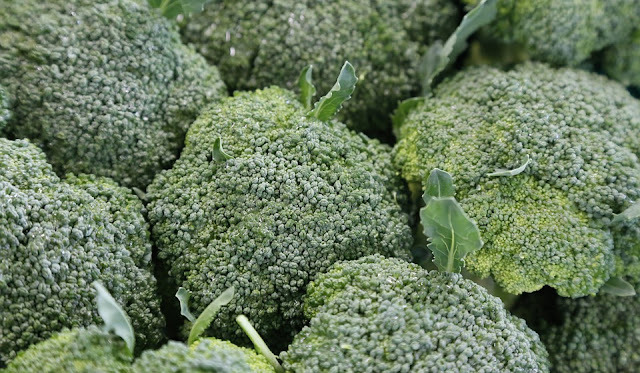 The compound sulforaphane present in Broccoli reduces the skin inflammation and redness. 3. Prevents and Reverse Aging- As Broccoli is loaded with Vitamin C which helps to fight free radicals which damage the skin, by fighting free radicals vitamin C prevents the appearance of the signs of aging like fine lines, wrinkles etc. The beta-carotene, antioxidants and many other essential nutrients work to keep your skin glowing and young. 4. Prevent Skin Cancers- It is a known fact that excessive exposure to UV rays cause skin cancers. Sulforaphane present in broccoli protects the body against the harmful UV radiation by controlling erythema or redness of the skin and prevents skin cancers. 5. Acts as a skin regenerator- The compound glucoraphanin which gets converted into sulforaphane present in Broccoli has all the potential to repair damaged cells and renews the dead cell quickly, thus makes the skin supple, gentle and smooth. 6. Helps in detoxification- Broccoli is loaded with Vitamin C, beta-carotene and other vitamins and minerals such as selenium, copper, zinc, and phosphorus which help your body to get rid of harmful substances, toxins and chemicals and also help the body to detoxify itself naturally and protect you from various skin infections. Vitamins A and K, omega-3 fatty acids, amino acids and folate present in broccoli make your skin radiant and healthy. 7. Makes Skin Glowing- Rich in fiber content, Broccoli helps your body to purify the blood and makes it toxins and chemical free, which in turn makes your skin look glowing and youthful. It is not wrong to say that Broccoli is the missing link to long term health and well being. Not many people know this, but broccoli contains twice the Vitamin C as that of an orange, as much as calcium as whole milk, and contains selenium, a mineral found to have antiviral and anticancer properties. In fact, a healthy serving of broccoli sprouts in your salad and sandwich can offer some great health benefits. It can also help you to ease the discomfort of the common cold. So include this wonderful and exotic vegetable to your diet to gain its hundreds of health benefits.